According to the TRA Brand Trust Report 2018 which was released on 18th April 2018, the State Bank of India was the most trusted bank (both public and private sector) in India. ICICI topped the list among the private banks. 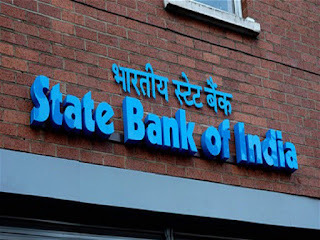 According to the report, this year the State Bank of India has topped the chart of BFSI (Banking and Financial Services Institutions) super category despite seeing a dip in its overall brand trust index rankings from 13th (in 2017) to 21st (this year). ICICI bank rose 9 ranks to become the topmost bank as far as the private banks are considered. In the overall ranking comparing brands, ICICI Bank ranked 38th in 2018. The survey was carried out during November-January and it did not take into account the recent reports of irregularities involving the ICICI bank. It was observed that 51 brands from the BFSI sector got listed amongst the 1000 most trusted brands in India in 2018 as compared to 23 brands listed last year. The 19 new brands entering the list show that the general trust in the BFSI sector is rising. The public sector bank PNB (Punjab National Bank) which in February 2018 witnessed a multi-crore fraud, was ranked 6th among the PSBs and 297th in the overall rankings. Since the survey was carried out during November-January and it did not take into account people’s opinions after the scam. The fraud might affect next year rankings for the PNB.